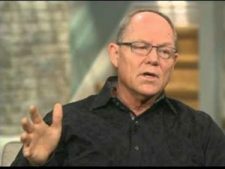 With the recent defection of Hank Hanegraaff, the Bible Answer Man, to the Greek Orthodox religion, an examination of the compatibility of this religion with Biblical Christianity is in order. Unfortunately, such an examination is a difficult task where the Orthodox religion is concerned. According to an article published by the Christian Research Institute (CRI), “Orthodoxy is not a monolithic bloc that shares a unified tradition and church life.” Despite this, a discerning examination of Greek Orthodoxy is not impossible. Using a variety of available sources, it can be concluded that Greek Orthodoxy falls outside the bounds of Biblical Christianity and exhibits patterns common to other sub-Christian cults. The Watchman Fellowship, an evangelical discernment ministry, has identified four patterns which are common to cults. Greek Orthodoxy exhibits three of them.